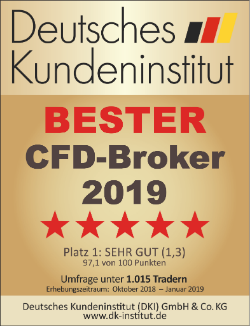 We are delighted to announce that Admiral Markets UK Ltd. has been named Germany's Best CFD Broker 2019 by the Deutsches Kundeninstitut (DKI)! YES, we did it again - this is the fourth year in which Admiral Markets has been recognised as one of Germany's leading CFD brokers. Admiral Markets' German office received five out of five stars in DKI's 2019 CFD Broker Customer Survey, which collected the opinions of 1,015 active traders. The survey, which was open between October 2018 and January 2019, asked active CFD traders to rate their preferred CFD broker, ranking them in the categories of trading, customer service, trading platform, value for money ratio, overall satisfaction and mobile trading. "We're delighted to be recognised once again as Germany's best CFD broker," commented Jens Chrzanowski, Member of the Admiral Markets Group AS Management Board. "With over 1,000 active traders voting for Admiral Markets as the first and second broker across a range of categories, it is clear that our efforts to provide the best trading conditions, the best user experience and the best customer service are paying off." In addition to receiving the Best CFD Broker award, Admiral Markets also won first place in the categories of trading, client satisfaction and value for money, and second-place rankings for the trading platform and order options and opportunities. "We'd like to thank all of the traders who voted for Admiral Markets in these awards - this motivates us to continue working to provide an even better trading experience," said Jens Chrzanowski. Our best spreads ever: Typical spreads from just 0.6 pips for the EUR/USD, and just 0.8 pips for the DAX30. Our best trading terms: No dealing desk, no minimum stop distances, low minimum deposits and ultra-fast execution. 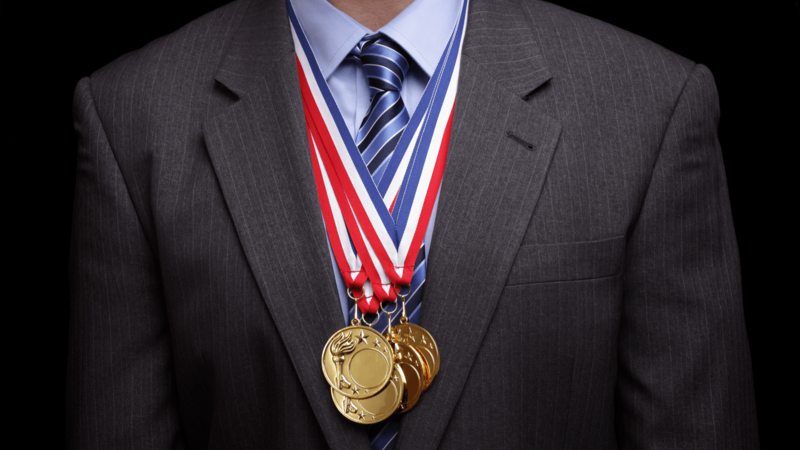 The world's best trading platform: Trade with the world's most popular trading tool MetaTrader. Choose between MT4 and MT5, and get both boosted with the exclusive Admiral Markets Supreme Edition plugin.